Call A to Z Entertainment, Inc. today for free information about how to hire or book Christian and Gospel music singer Martha Munizzi. With over twenty years of successful experience, we are your best agent and agency booking and hiring top Christian musician Martha Munizzi! We book or help you hire any live professional entertainment you want including Gospel and Christian musicians and singers. We can also help you plan and produce your show, so call us today at 888-655-4575 and we’ll be happy to help you. With her dynamic and unapologetic style of praise and worship, Martha Munizzi has quickly become a household name in the Christian music industry. Singlehandedly, the GRAMMY® nominee and Dove® and Stellar® Award winner has literally changed the face of the inspirational genre. Her many accolades are evidence of the popularity and diversity of her music ministry, and the acceptance of her unique style of praise and worship throughout the music community. An energetic and praise-filled woman of God, Martha Munizzi has captured the hearts of gospel music lovers with songs like “Glorious,” “Because Of Who You Are,” “Jesus Is The Best Thing” and “Excellent”. Not only have lives been changed through her ministry, but she has savored the success of it as well, becoming the best-selling independent artist in the history of gospel music. With her husband Dan at the helm, Martha Munizzi recently released her award winning CD, “Make It Loud!”, an extension of EPIC Worship. Recorded live in Orlando, Florida, the project is certain to eclipse any other record that the praise and worship artist has done. With songwriting by Munizzi, Michael Gungor, Jonathan Stockstill, and even Munizzi’s daughter, Danielle, the artist sees God’s hand all throughout the record. “God brought together the right people at the right time for this project. Not only is the project a snapshot of an incredible night of worship, but Martha and I see this project as a platform to expose many other up-and-coming worship leaders, as well as new songs for the body of Christ” says Dan Munizzi. Munizzi has ministered with several popular Christian ministries including; Joel Osteen, Creflo Dollar, Joyce Meyer, Benny Hinn, CeCe Winans, and Bishop T.D. Jakes. She has also appeared on Trinity Broadcasting Network’s (TBN’s) Praise The Lord, on the Daystar Television Network, on Life Today with James Robison, and on Black Entertainment Television’s BET Celebration Of Gospel. Additionally she performed as a part of the 3rd annual “Sisters In The Spirit” tour with Yolanda Adams, Kelly Price, Juanita Bynum, Rizen and Sheila E in 2005. She was also a featured performer with Kirk Franklin at the “Imagine Me” all-star celebrity benefit concert at the Opryland Hotel in Nashville, Tennessee. Martha Munizzi has also recently launched “Epic Worship School of Ministry” where she is mentoring future worship leaders and pastors for ministry. Munizzi says, “I have been sensing God leading me to develop and mentor future worship leaders, pastors and musicians for some time, and we are so excited to see Epic Worship School of Ministry now become a reality! My desire is to not only help people develop a strong foundation of leadership, but through our Epic Worship events each month, help lead them into encounters with God that will ultimately impact the local church!” Continuing to break down the generational and cultural walls that separate the body of Christ, Martha Munizzi is on a mission to proclaim the awesomeness of God through the vehicle of worship! We can help you book or hire any Gospel and Christian musicians and any Christian and Gospel music singers, bands, and artists. 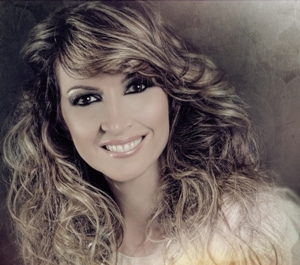 We’re your best agency and agent for hiring and booking award winning Christian Singer Martha Munizzi, so call 888-655-4575 today and we’ll be happy to help you. A to Z Entertainment, Inc. is not the exclusive booking agency for any live entertainers on this site.